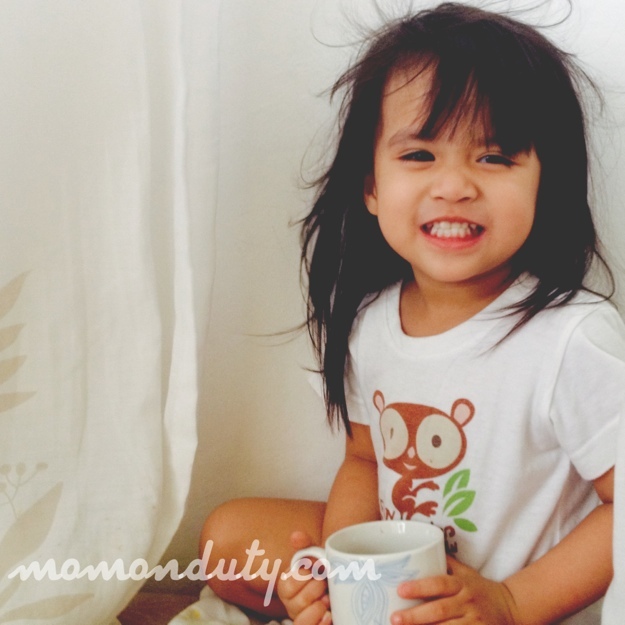 Last week was extremely difficult for us because it was super hard to get our 2-year old to eat anything but junk/fast food. What made meal times more frustrating was, every time we put food (aside from junk/fast food) on the table, she would cry like there’s no tomorrow. Sometimes, she would cry for hours after meal time just because we didn’t give her what she wants. I tried to serve her food I know she likes, such as pasta, sunny side-up eggs, siomai and fish but she just won’t eat. We eventually gave up and resorted to driving through at the nearest fast food chain just so she’d have something come meal times. THEN, I remembered that I still have a bottle of Champs M with Lysine. If you read my post about the different Champs chewable vitamins, Lysine can help boost a child’s appetite so this particular Champs variant is perfect for the situation! The goodness of multivitamins and lysine combined into one tablet – this is what Champs M with Lysine chewable tablet offers. It provides 9 essential vitamins with added lysine to improve appetite and is a healthy dietary supplement for children. It helps to promote healthy growth, tissue repair and production of antibodies, hormones and enzymes. True enough, after just one tablet of Champs M with Lysine, The Princess already had an increased appetite. 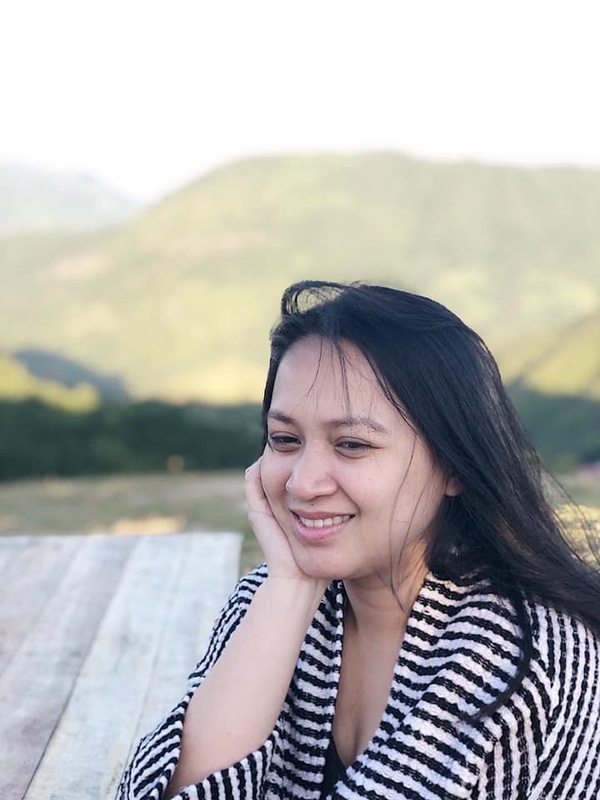 She started the day with a bowl of cereal and milk, had an apple for her morning snack, ate rice and Chicken Adobo for lunch, had a slice of mango for afternoon snack then had pasta for dinner! I noticed that she started drinking more water and was more active (naturally, because her fuel tank is filled up!). She also looks much better now because she’s not too thin and dehydrated. Aside from giving your picky eater these chewable tablets, it also helps to serve the food in a very creative way. She loves it when I add color to her food so I often add chopped carrots and malunggay (we have plenty in our garden, thankfully!) to her rice and pasta for a bright orange and green touch. It’s been almost a week since we started giving her Champs M with Lysine and it has been awesome! I love that she eats anything I put on the table, drinks lots of water, is more active and barely throws tantrums. 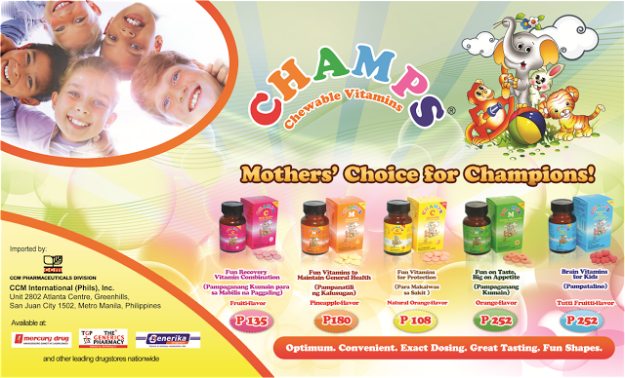 If you have a little picky eater in the house, try Champs M with Lysine with a bit of creativity during meal times. It really worked well for our mini! What do you do to get your picky eater to eat healthy meals? 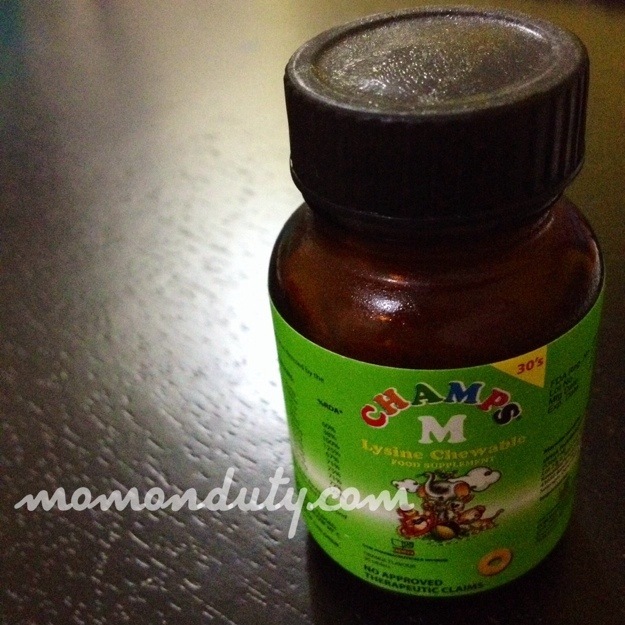 IMPORTANT NOTE: While Champs M with Lysine worked well for our little one, it is best to consult a physician before giving anything to your child. Thank you for this, Kim! At times, I’m having a tough time feeding her healthy meals too. I tried Tiki – Tiki and other brands, but not this one. Will give this a shot!